In an address to the Russian nation on the 400th anniversary of the end of the Time of Troubles the head of the House of Romanov, Grand Duchess Mariya Vladimirovna, has recognized the failings of her dynasty during its rule of Russia, saying that "we repent before God for [the dynasty's] mistakes and sins, and we ask forgiveness of the Russian people—both for myself and on behalf of my ancestors." The grand duchess, who described the period since the February and October Revolutions as a second Time of Troubles for Russia, went on to call on the Russian people to contribute to funding worthy celebrations of the anniversary by giving to causes that would assist those in need, to "erect monuments...not only on the streets and squares of our cities, but first and foremost in the hearts of the people." 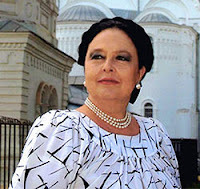 Grand Duchess Mariya Vladimirovna's full address with its appeal can be found here.